The chief executive of Equifax, the troubled credit reporting agency that suffered a massive data breach affecting as many as 143 million people, will retire, effective Tuesday, according to a statement by the company. The departure of Richard Smith comes as Equifax has drawn the anger of countless consumers and dozens of federal lawmakers over its handling of the breach. Equifax announced earlier this month that hackers gained unauthorized access to sensitive personal data – Social Security numbers, birth dates and home addresses – for nearly half of the country. The company also faces multiple federal investigations over its handling of the hack and reports that executives sold an unusual amount of stock before the breach was publicly disclosed. Equifax’s board of directors appointed board member Mark Feidler to serve as Equifax’s nonexecutive chairman. Paulino do Rego Barros Jr., who led the company’s Asia Pacific division, will become the interim chief executive. Smith, 57, had been the chairman and chief executive since 2005, after spending 22 years at General Electric. 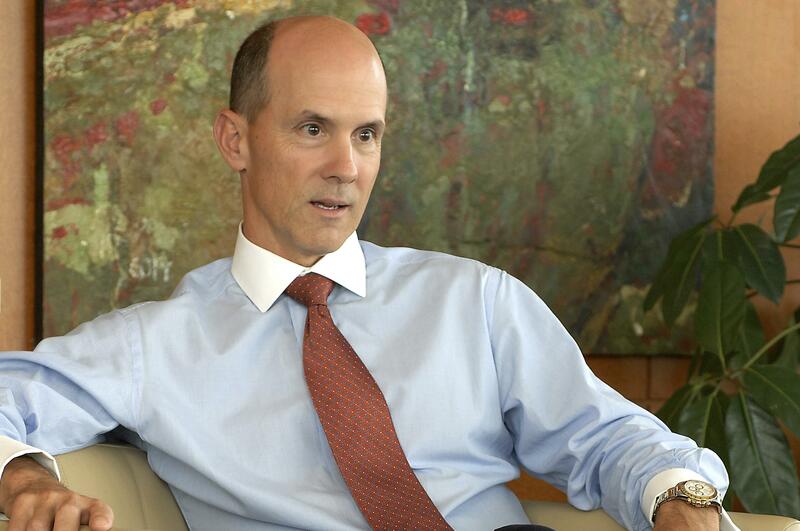 During his time at Equifax, the company’s stock price had soared 200 percent. And its market value swelled from $3 billion to $20 billion. Smith also expanded the company’s business into 24 countries. Including salary, stock and changes in pension value, Smith’s 2016 compensation was valued at $15 million. But Smith will not receive a bonus this year, according to a new filing with the Securities and Exchange Commission. Decisions on additional benefits owed to Smith will be deferred until the board of directors completes an independent review of the data breach. The board said that Smith will act as an unpaid adviser as the company conducts a search for a permanent chief executive. Smith isn’t the first high-ranking executive at Equifax to depart since the breach. Earlier this month, the two officials responsible for Equifax’s security and information technology also abruptly retired. The company on Tuesday said that the board has created a special committee to examine the breach. Smith is scheduled to testify in front of two congressional committees next week. The House Energy and Commerce committee will hold its hearing on Oct. 3 and the Senate Banking Committee the following day. Rep. Maxine Waters, the top Democrat on the House Financial Services Committee told The Post in a statement that Smith’s retirement does not relieve Equifax of its obligations to answer for its lapses in security. Sen. Sherrod Brown, the ranking member of the Senate Banking Committee, where Smith is scheduled to testify next week, said that the former CEO and other Equifax executives who left should be denied “a big payday” that may come with their retirements. “Equifax executives cannot be allowed to wash their hands of this while millions of Americans are left to deal with the consequences,” he said in a statement to The Post. One week after Equifax announced that it had been hacked, its chief information officer, David Webb, and chief security officer, Susan Mauldin, suddenly retired. Smith’s exit could clear the way for new leadership with expertise in cybersecuity, security experts and industry observers said. And the swift departure of the company’s chief could stem some of the intense backlash against Equifax. “The CEO should be held accountable and the chief executive officer is also the chief risk officer, and clearly this company took on risk that resulted in its hacking problem,” said David Kass, a professor of finance at the University of Maryland. Carl Tobias, a law professor at the University of Richmond said that Smith’s retirement may help Equifax move past the scandal, but how the board responds to pressure from Congress, and the sustained public outcry, will likely define the future of the embattled company. “Just removing Smith or having him retire doesn’t mean that the company will be able to address the concerns of millions of people, in terms of their own personal data, Equifax’s lack of transparency and why it them so long to reveal the breach to the public,” he said. And even as Equifax moves to replace key personnel, a crucial question many are asking is just who the new crop of executives will be. Published: Sept. 26, 2017, 8:13 a.m. Updated: Sept. 26, 2017, 11:04 a.m.